Running Lights for Second City Staff Show, 2016. Light Board Programming at The Annoyance. Running Lights for Second City Staff Show, 2017. Huggable Riot was formed in 2015 by Amy Anderson and Hunter Larrison on the notion that, after all the classes and programs are done, the best way to learn to do something is to go out and do it. We are made up of writers, actors, musicians, directors, and producers - all brought together under the solitary goal of making each project we undertake better than the one before. Cast and Production team of Jekyll and Hyde. Jekyll and Hyde exterior scene. AACC Theatre Co. 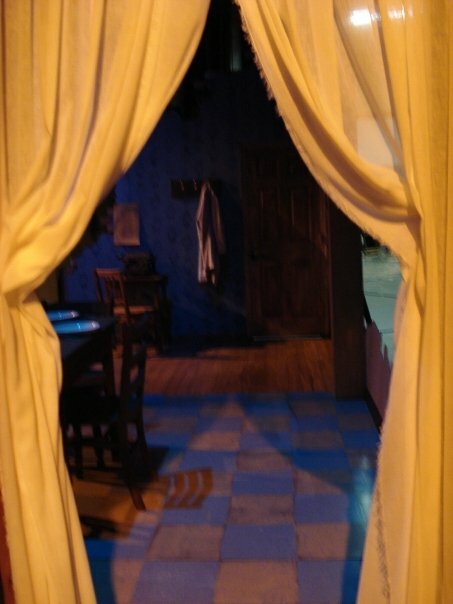 Stage Managed, Technical Directed and co-designed The Glass Menagerie with Robert Berry. 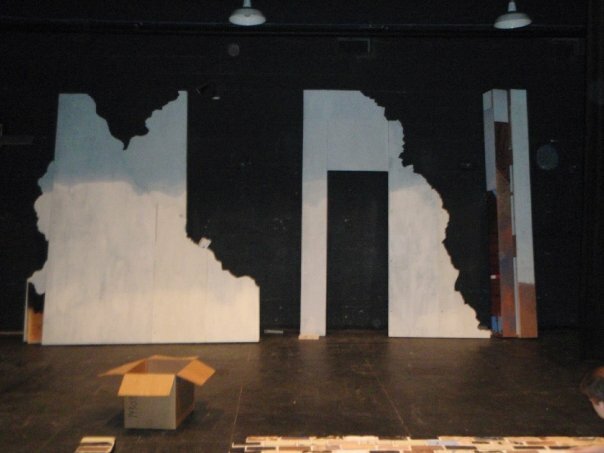 Lead a crew of 4-6 people in constructing and painting the set. With The Glass Menagerie being a memory play my concept was centered around a page torn from a scrapbook. AACC Opera Co. Technical directed production- designed and constructed set. February 2012 - May 2012. AACC Theatre Co. 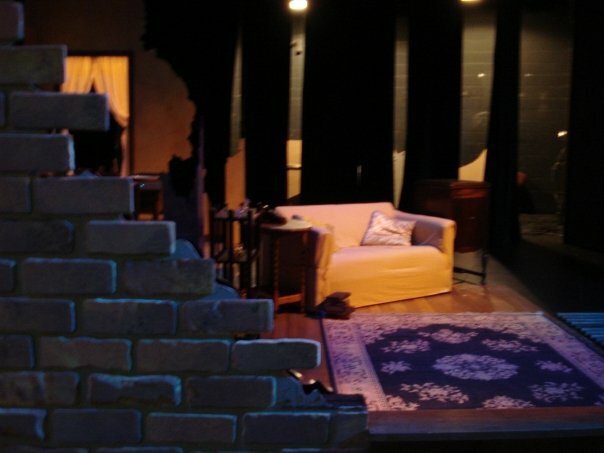 Stage Manager - assisted in set construction and coordination between Directors and Choreographer. August 2011 - December 2011. AACC Theatre Co. Assistant Stage Manager - assisted set painting and assisted running crew for the production. 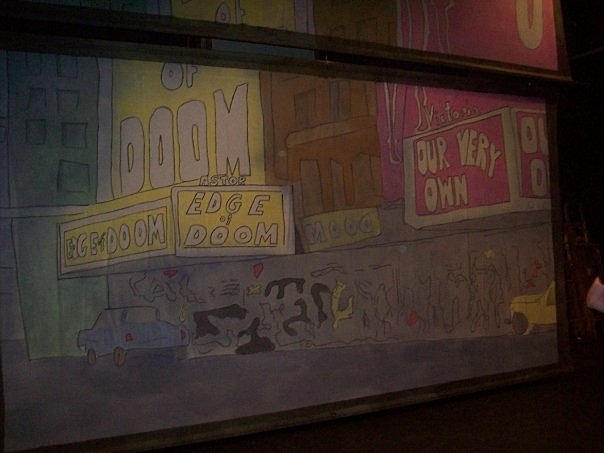 Backdrop for Guys and Dolls. Old Mill High school. Technical Directer and Stage Manager - designed and constructed set. Old Mill High School. Assistant Stage Manager - assisted in construction. Old Mill High School. 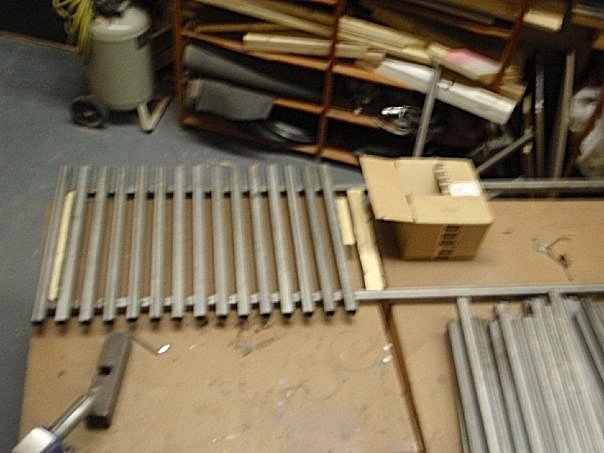 Assistant Stage Managed - assisted in set construction. Old Mill High School. Crew member and Props Assistant - assisted in set and prop construction.